I can haz a crock pot? 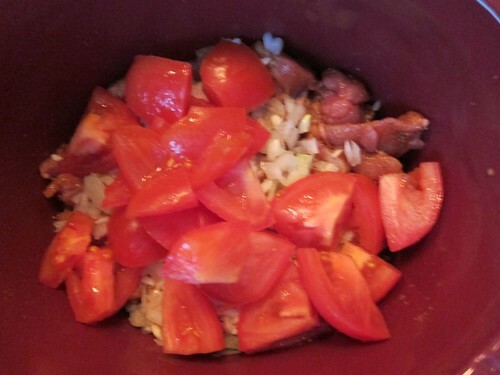 My friend Cate has a slow cooker. We’ve had chili and ribs with great slow cooking success while watching movies like Sound of Music and Love Actually. 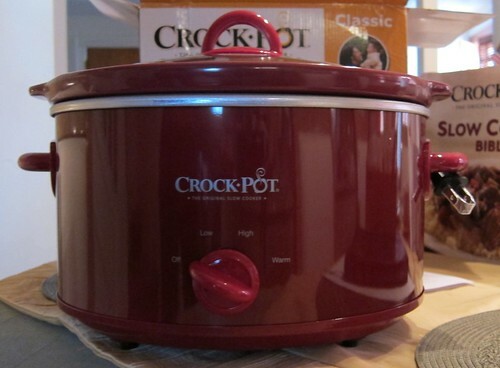 I went to Target this weekend for some home improvement things and I saw an aisle with crock pots, so I decided to get one. Then I went to Barnes and Nobles and got the Crock-Pot Slow Cooker Bible, because I like cook books (sshhh, that’s a secret). When I got home I decided to try out a recipe, I chose the Chicken and Beans Chili as a guide, and gathered all the ingredients I could find along with some substitues. 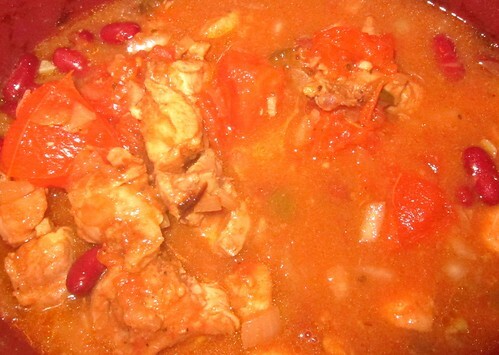 The end result was more a stew than a chili, so here is the Chicken and Beans Stew. I had no chili powder, so I used 2 tsp. Red Pepper and 1 tsp. Black Pepper. 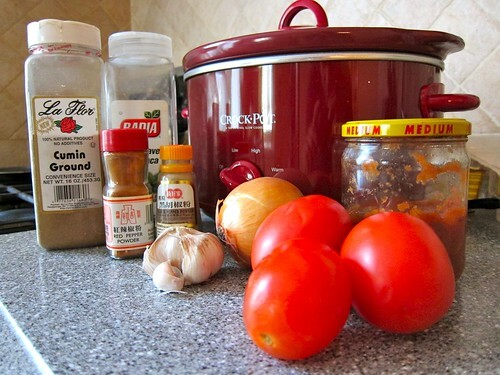 2 tsp Ground Cumin, left over salsa, 3 cloves of garlic and a small onion. 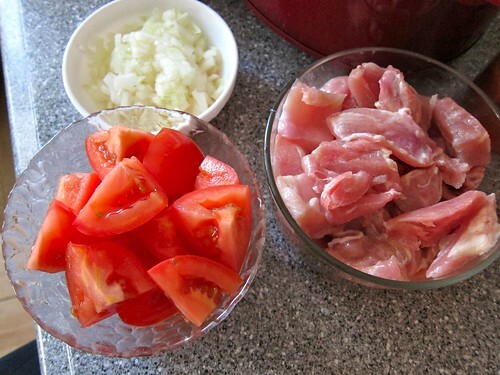 I chopped the tomates up into eights each, and chopped some chicken thighs into 1 inch pieces (no bones or skin included). 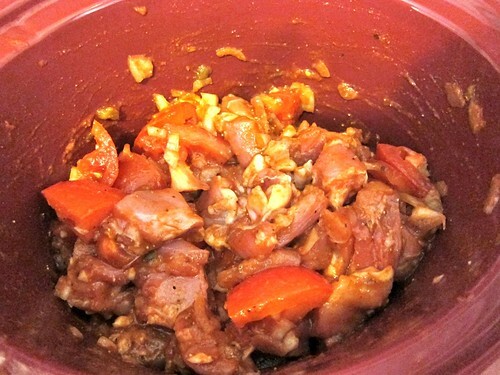 and mix it around until it the chicken is coated. Leave it on high, for about 2 hours. 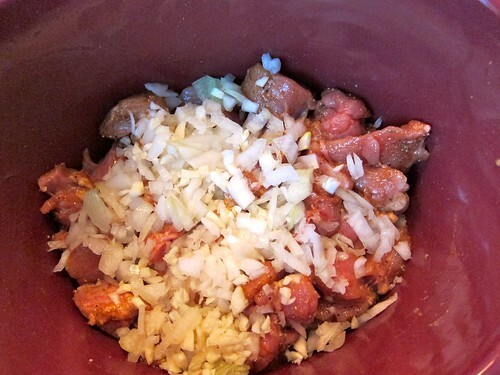 Then throw in some beans and let it cook for 10 more minutes. After it’s done you’ll have a lovely chicken and bean stew concoction, that, according to my pesky brother, tastes great!